Holly cannot fathom who would put a contract on her life, yet the moment she touches Will, the connection between them is elemental, undeniable-and she's the only one who can tame his bouts of madness. But other assassins are coming for Holly. Will must transform from killer to protector and find the man who wants Holly dead... or his only chance for redemption will be lost. Track It. This book has been $5.98 within the past year. Log In to track Kristen Callihan on eReaderIQ. 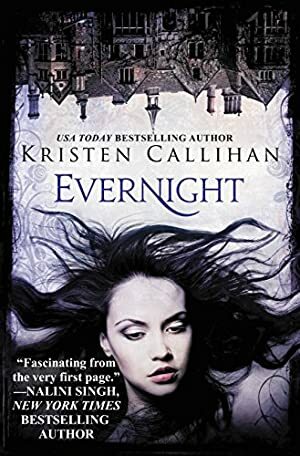 to be notified each time the price drops on any book by Kristen Callihan. to stop tracking Kristen Callihan. We started tracking this book on January 10, 2014. The price of this book has changed 11 times in the past 1,929 days. This lowest price this book has been offered at in the past year is $5.98. The lowest price to date was $1.99 last reached on July 6, 2015. The highest price to date was $7.99 last reached on January 6, 2019. This book has been $7.99 3 times since we started tracking it.